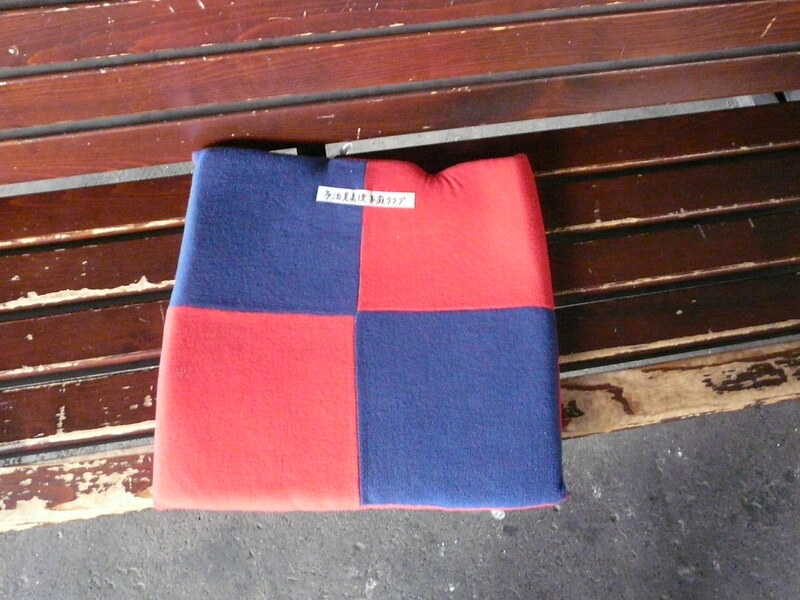 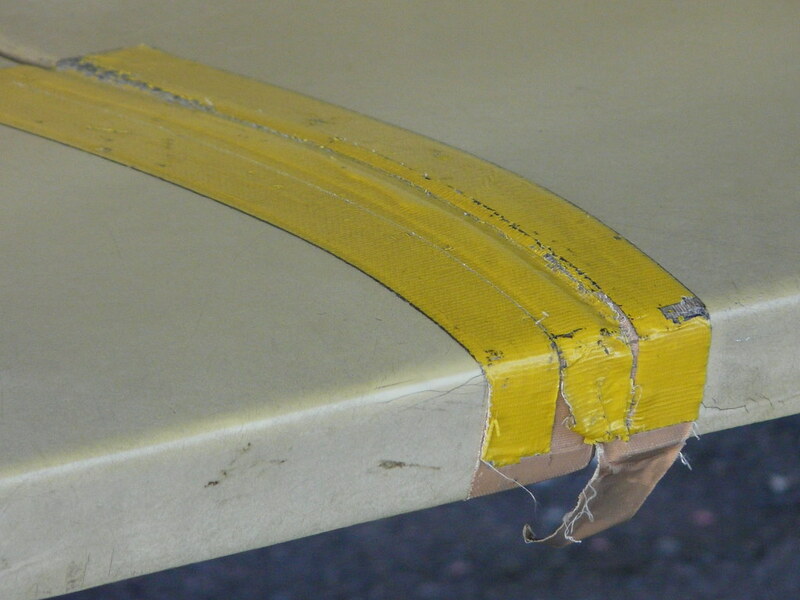 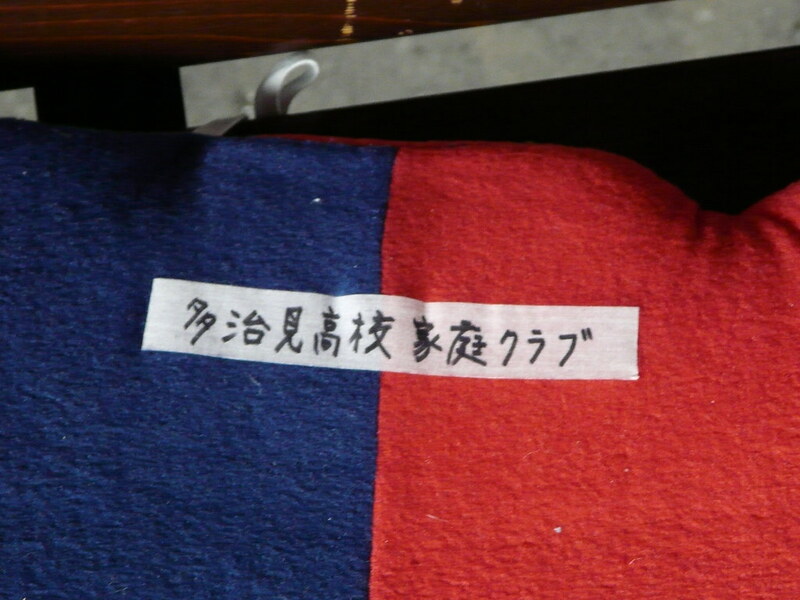 Hand made cushions for winter station benches in Gifu (courtesy of Tajimi High School). 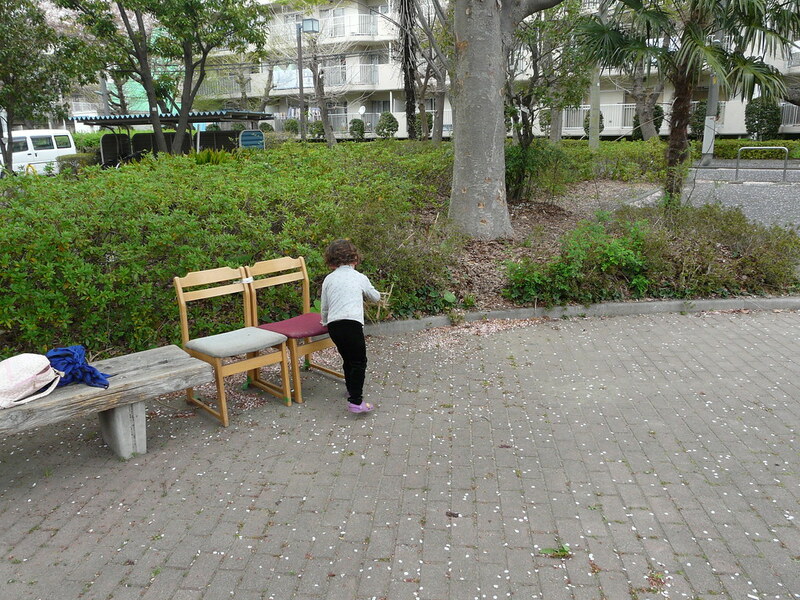 Lack of public seating in Tokyo necessitates improvisation for a morning smoke, drink and relax after the tiring commute. 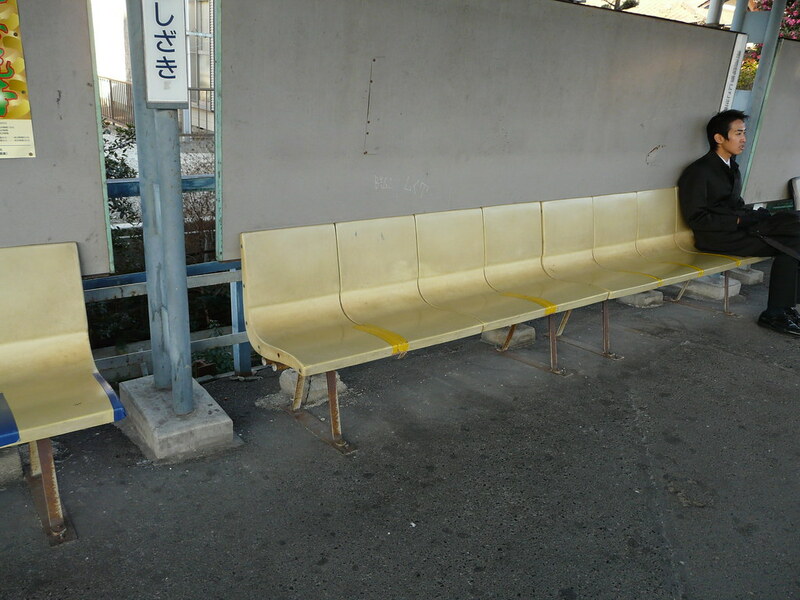 Perhaps this deficiency in urban furniture is actually a blessing, allowing for more flexible and frequent seating opportunities. 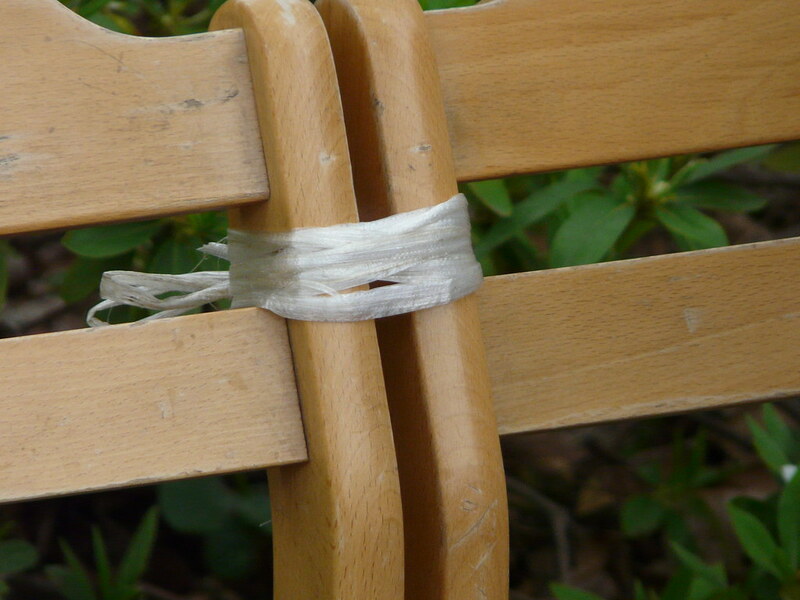 Less predefinition can equal greater malleability. 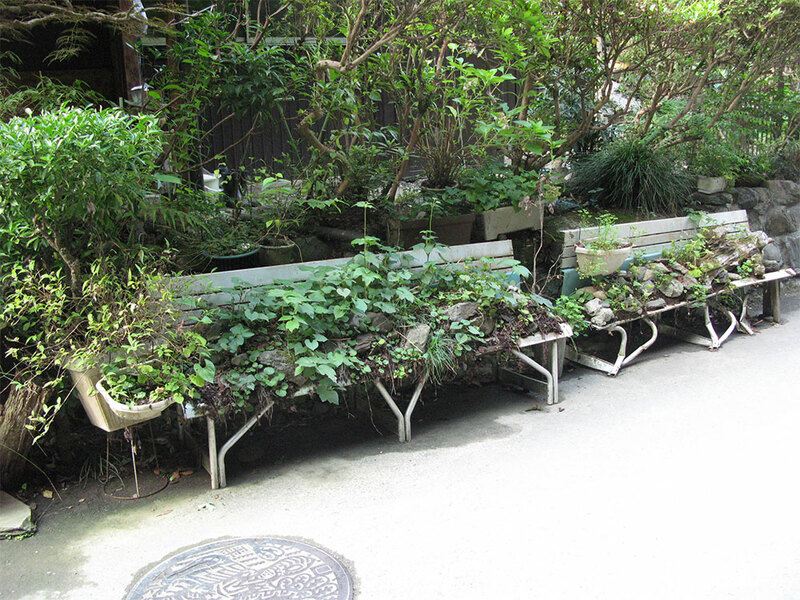 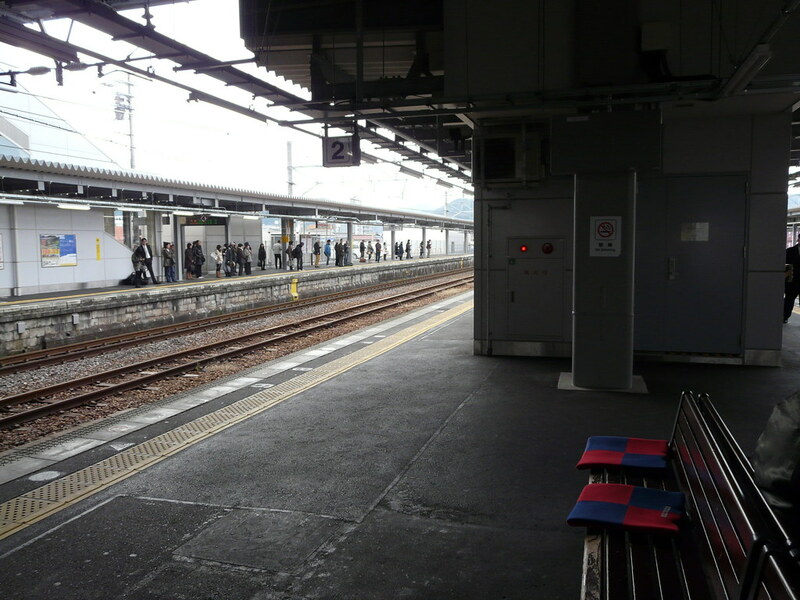 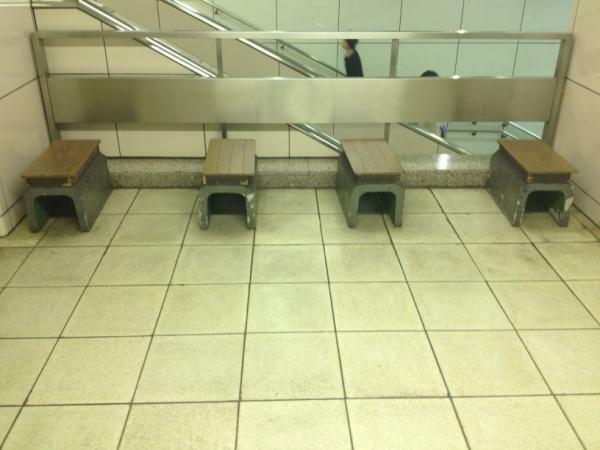 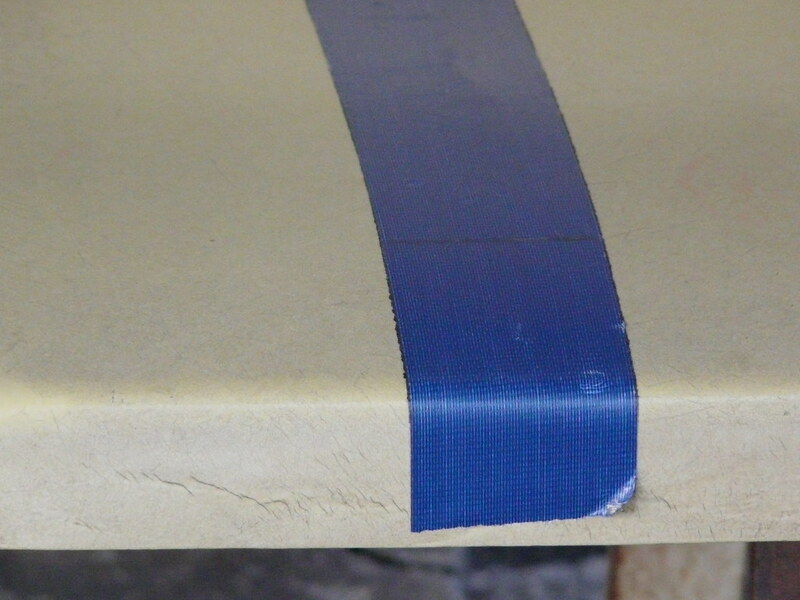 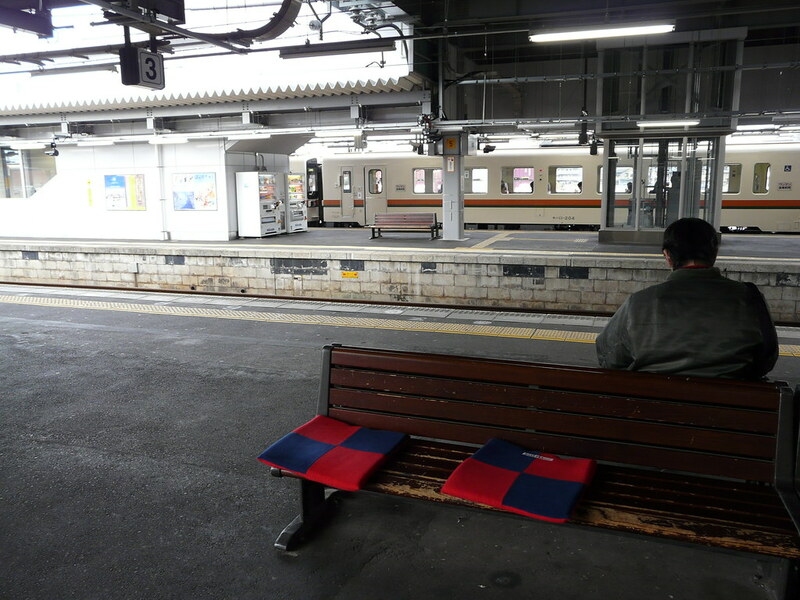 Concrete blocks topped with wooden boards form robust public benches (created by station staff) in Nogizaka station. 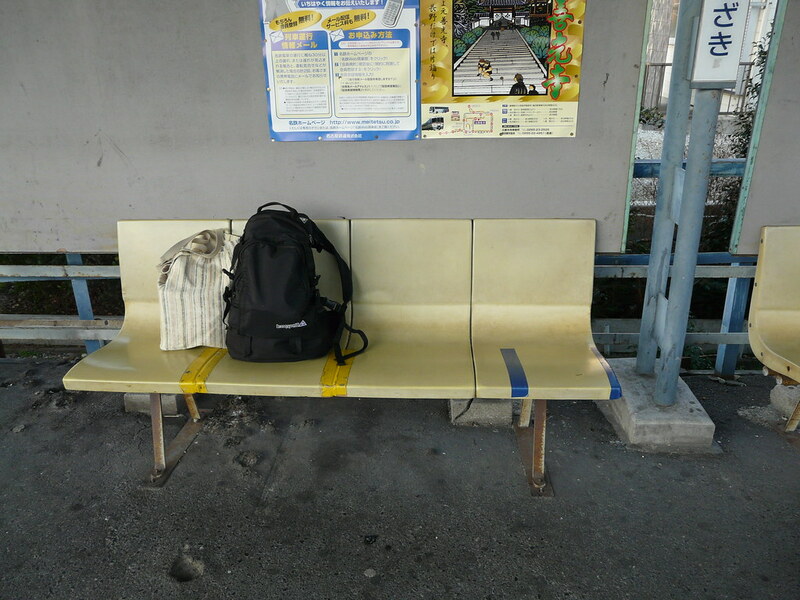 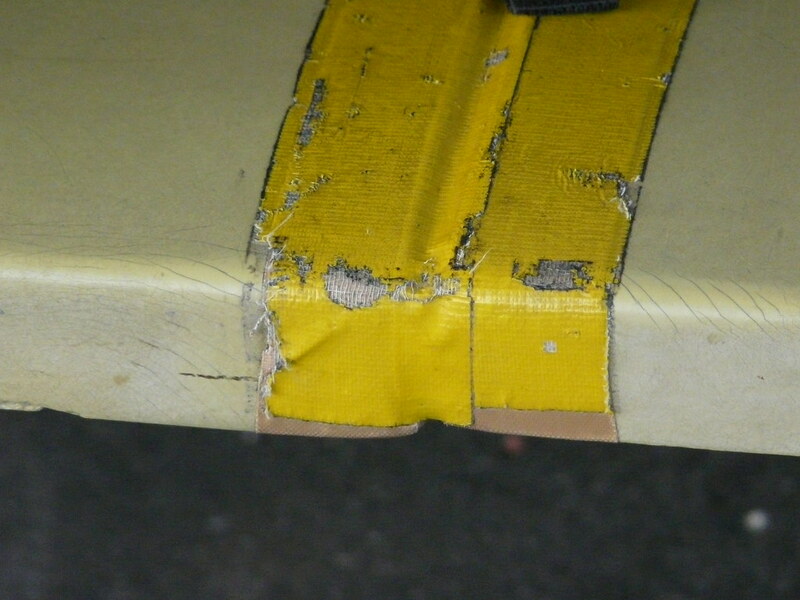 Thanks to @remmid for the tip and photo. 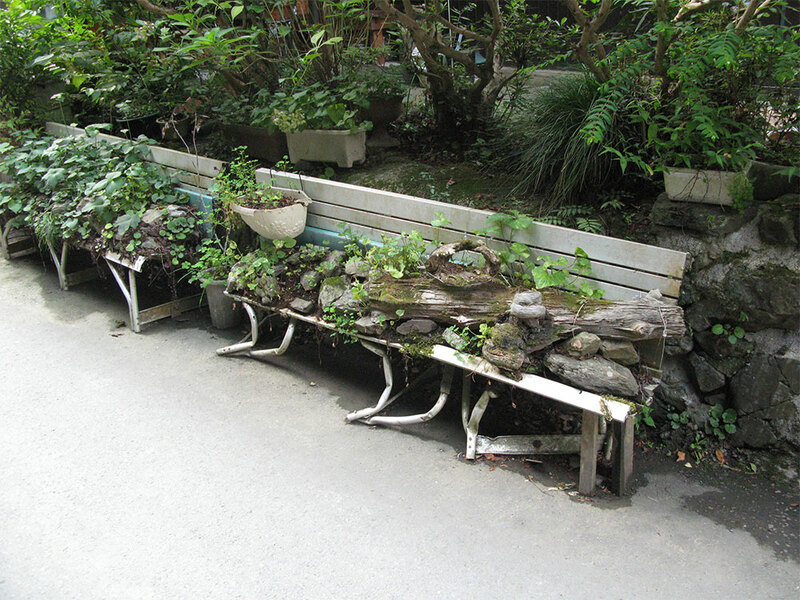 Thanks to Tokyo design researcher Jan Lindenberg for this great find: Unusable public seating repurposed as rock garden at Mt. 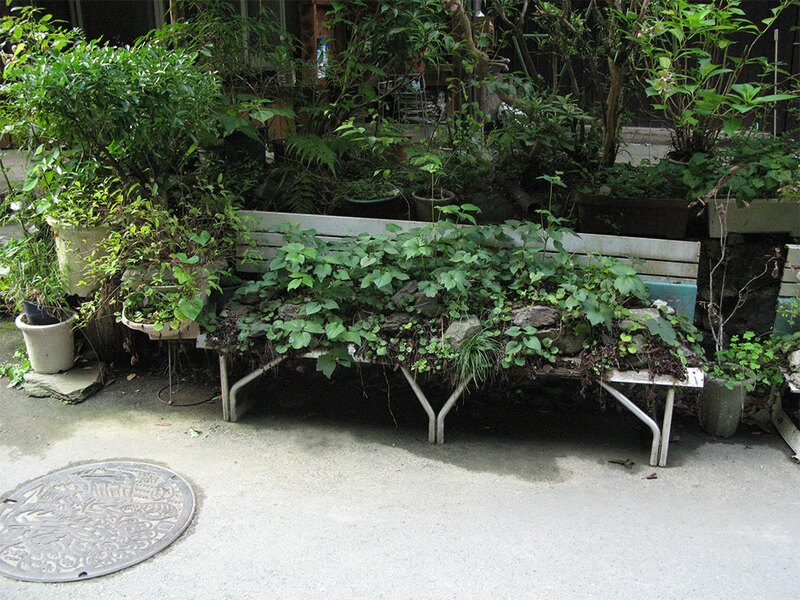 Takao, West Tokyo.